Our two-week Christmas break is officially over and we have returned to school with great energy and enthusiasm! 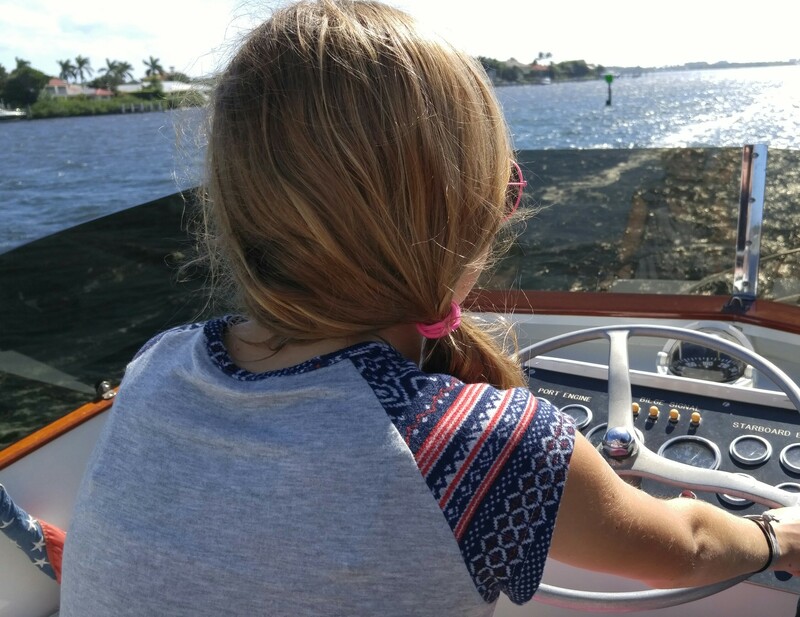 *I would love to know if teachers feel the same about vacation-time from school: When we take a break, I have noticed the kids come back with an excitement to learn that is passionate and infectious. They are super organized, motivated and twice the students they were two weeks ago. Our last days of winter break were spent snorkeling in the Keys. 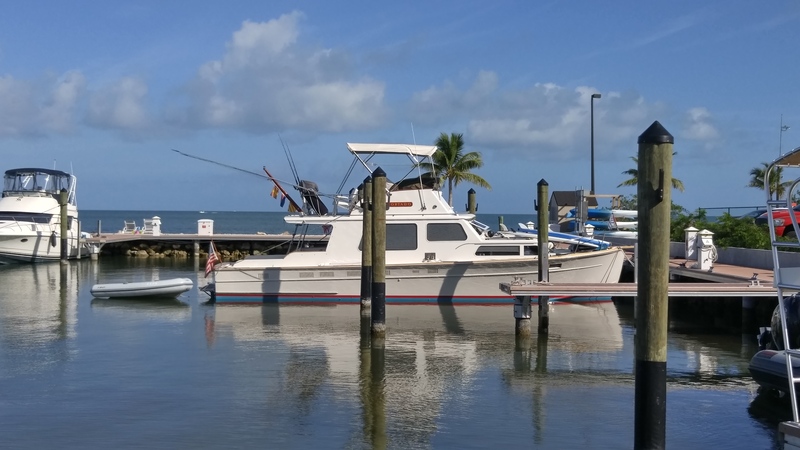 Above are CORTADO and PIPA docked at Faro Blanco Marina in Marathon, as a home base. 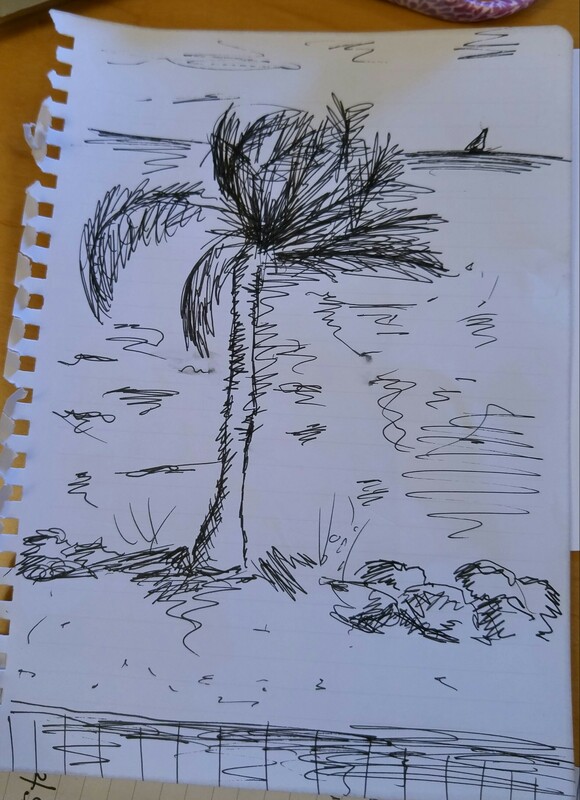 A couple of Sophia’s many sketches during our travels. 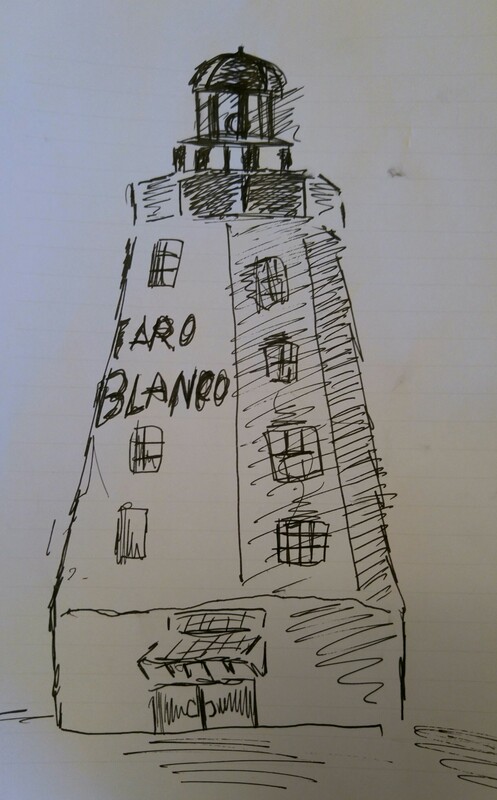 We are back into Math, Art, World History, Poetry and Spelling as usual. 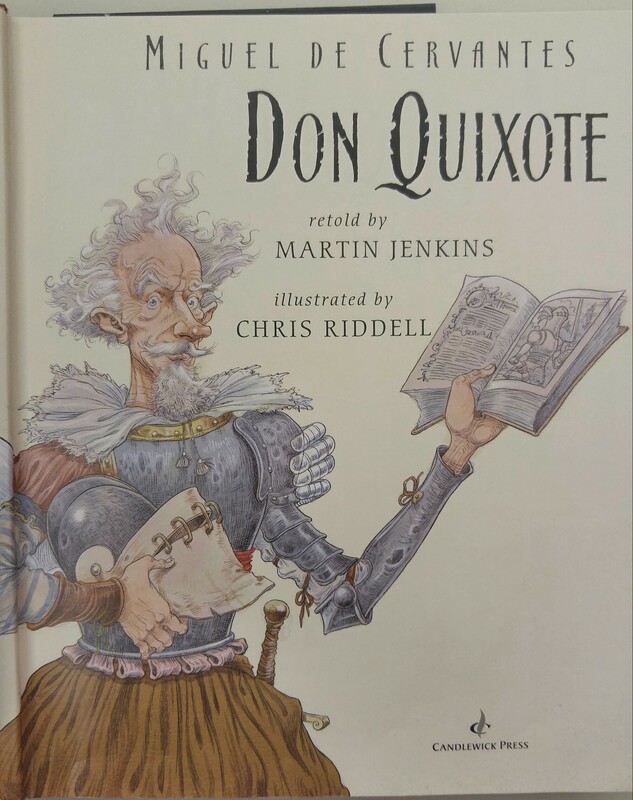 We are reading our last chapters of Cervantes’ Don Quixote and are looking forward to starting our next book together. The materials we have for World History are fascinating beyond words. I love this subject as much as the kids! This version of Don Quixote has been great fun to read in class. We have all loved it and having read the original, I was pleased with its content and accuracy. For curious minds, Spanish, Critical Thinking, Geography and Free-time Reading are also among our daily assignments. I have amped up our grammar and writing lessons this semester and we continue to track the tides, sunrise/sunset and moon phases. The kids are learning daily about science in its natural environs. 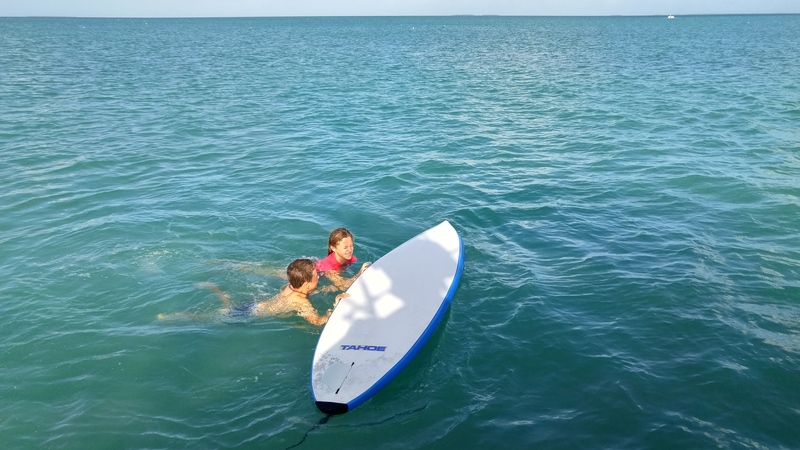 Our setup allows for acquiring skills in other areas too: The kids steer our boat, paddleboard, swim, fish and operate the dinghy. 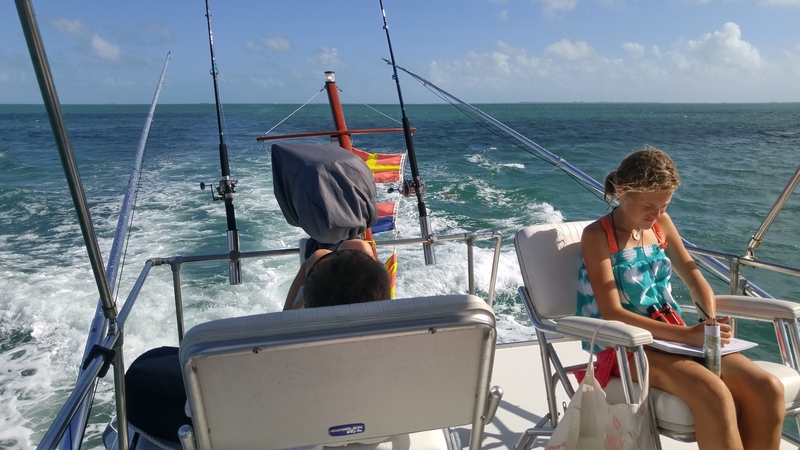 They are learning about navigation, wind direction, identifying sea states …and how to spot an injured sea turtle. (see more info at: www.turtlehospital.org) The lessons we are all attaining, including how to live efficiently and in a small spaces, are most gratifying. 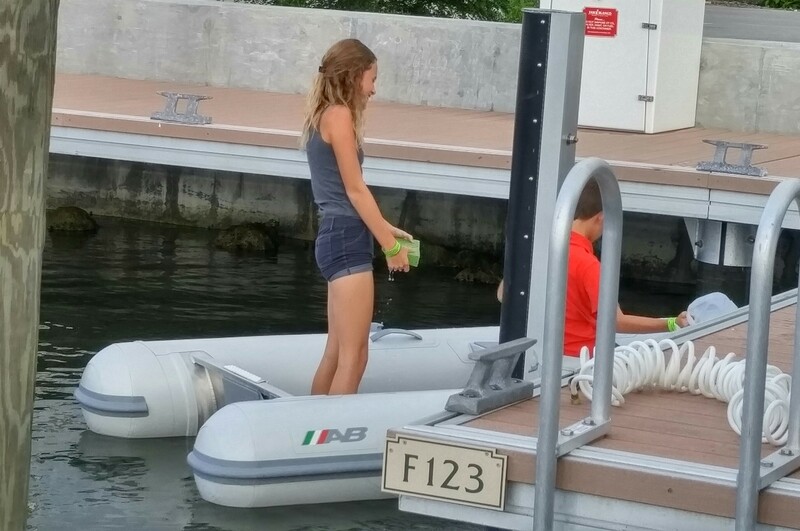 Bailing out the dinghy after a storm is a haven for strife and foul-play. 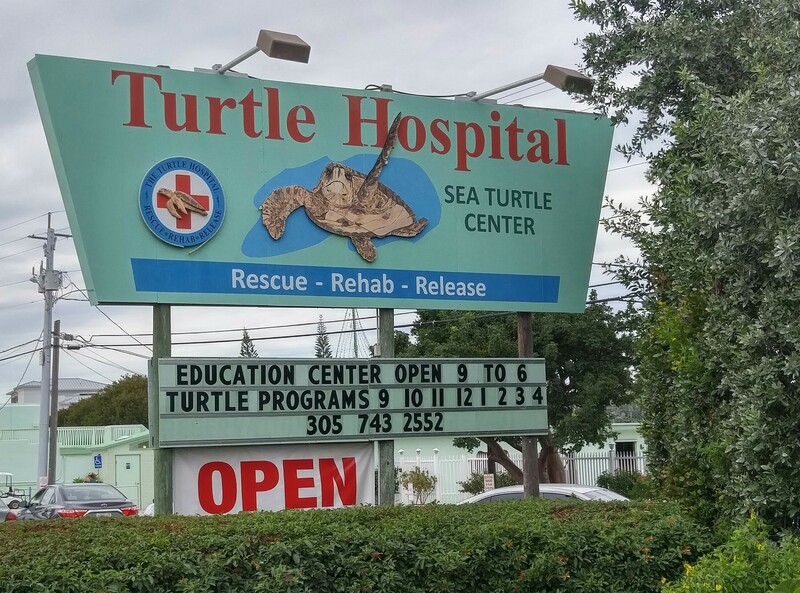 The Turtle Hospital in Marathon was a great field trip – we have seen many sea turtles on the water – but now we understand how to identify them and when they are in distress. We saved one injured sea turtle in St. Augustine by calling the nearby Rescue Center and will continue to be on the lookout for more turtles in need. 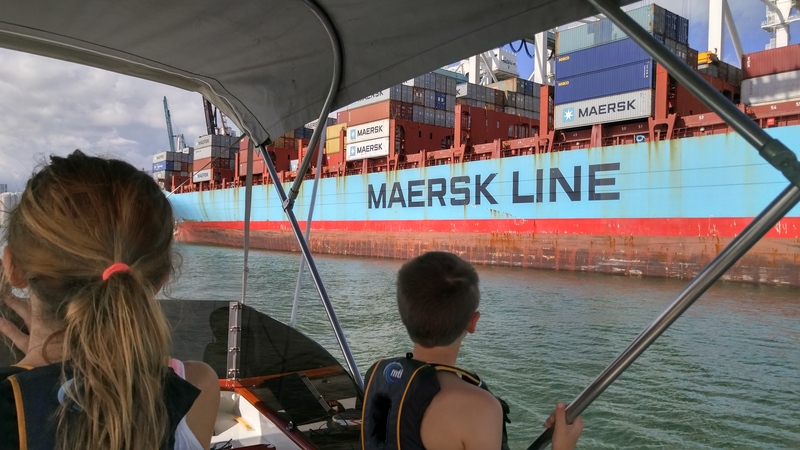 Checking out the massive freighters in the Port of Miami. 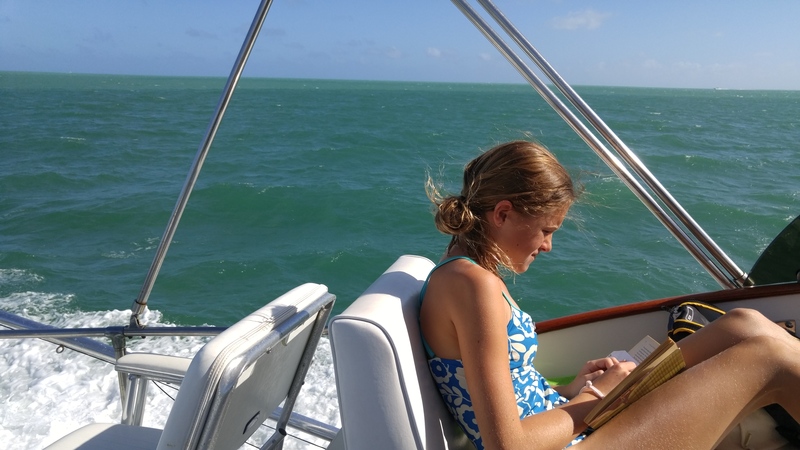 We continue to have school on occasional Saturdays and Sundays, as “Travel Days” are impossible to structure book-based learning. Homeschooling is a flexible, exciting and rewarding journey. Clearly it is not for everyone, but we would encourage anyone thinking about it to give it a try. We do not have a grand plan for doing this indefinitely. But for now, it is flowing along beautifully. Regardless of the duration, we are thankful for the opportunity and time together! Lynne ,you make home schooling sound easy but you clearly have an incredible gift in organizing, planing and making It so exciting. .Every parent considering it should be trained by you. Much love to all.